An extended charming cottage occupying a quiet corner position opposite the local church. The property offers characters features such as sash windows and an open fire but offers modern living with a large open kitchen/diner. 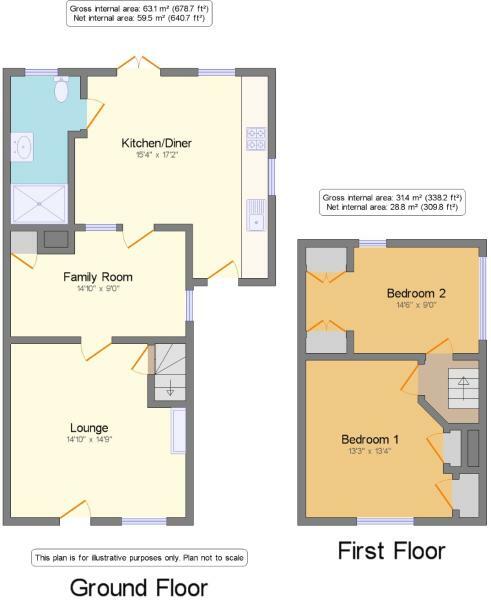 Further accommodation includes; two reception room, two double bedrooms and stylish modern bathroom suite. Externally the property offers an ample amount of off-road parking to the side and an enclosed wrap around garden mainly laid with artificial lawn. Dunton is a small sought after Village just 3 miles from the market town Biggleswade in the county Bedfordshire. Local amenities are to include a pub, recreation ground, a church and a very popular lower school rated outstanding by Ofsted. Dunton offers fantastic commuter links with the A1 being approximately 2.5 miles away and its only 20 miles to central Cambridge. The local town Biggleswade offers a regular train service to Kings Cross station with a fast service getting you to the capital in 29 minutes. Disclaimer - Property reference HBG180121. The information displayed about this property comprises a property advertisement. Rightmove.co.uk makes no warranty as to the accuracy or completeness of the advertisement or any linked or associated information, and Rightmove has no control over the content. This property advertisement does not constitute property particulars. The information is provided and maintained by Taylors Estate Agents, Biggleswade. Please contact the selling agent or developer directly to obtain any information which may be available under the terms of The Energy Performance of Buildings (Certificates and Inspections) (England and Wales) Regulations 2007 or the Home Report if in relation to a residential property in Scotland.